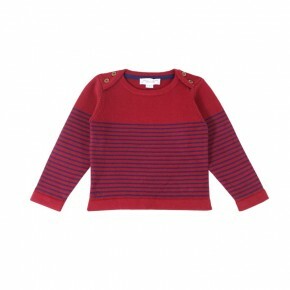 Ames Knitted pullover with stripes and buttons on one shoulder. Very confortable and easy to wear. Exist in blue and in green. 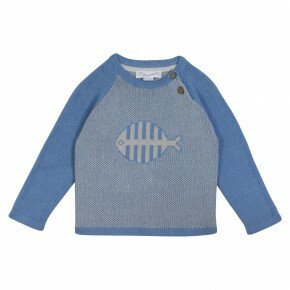 Ames Knitted sweater with a fish on the chest and buttons on the front, on one shoulder.Very comfortable, brings a touch of fantasy to an outfit. 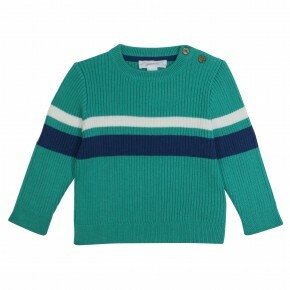 Cassandre Knitted pullover with stripes next to the neckline. Very confortable and easy to wear. Exist in orange and blue. 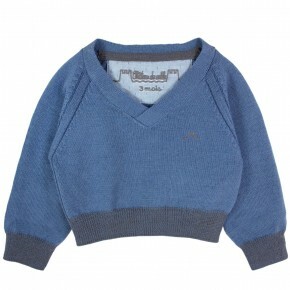 Cassandre Boy pull over with wood buttons on the chest and fleece fur inside. Available in red and light blue. 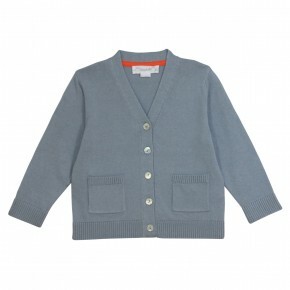 Cassandre Cardigan with elbow patches and matching buttons all the way. 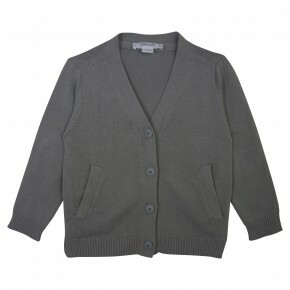 Sleeves and bottom of the cardigan with ribbed and gray edges. 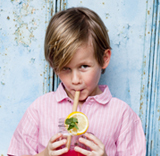 Available in red, blue and light blue. 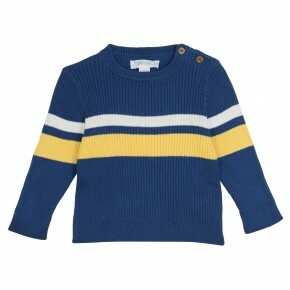 Cassandre Striped boy sweater with a padded collar and one wood button to assist in dressing. Available in navy and yellow. 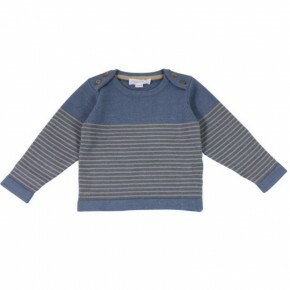 Cassandre Unisex striped sweater with 2 wooden buttons on each shoulder. Available in blue and red. 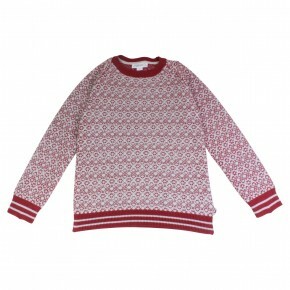 Cassandre Burgundy Winter Jacquard boy sweater. Wood buttons on the shoulder. 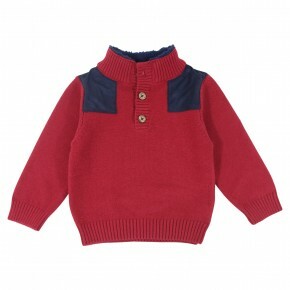 Cassandre Boy sweater with a fox embroidered on the chest. Contrasted collar and sleeves. 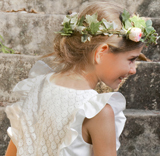 One wood button on the shoulder to assist in dressing. 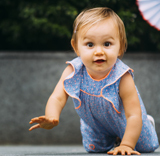 Available in grey and light blue. 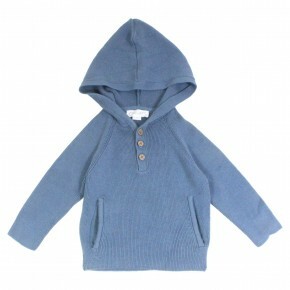 Theo Boy fleece hooded pull over. Sleeves and bottom of the pull over with stripes. Two pockets on the sides. Available in blue and red. 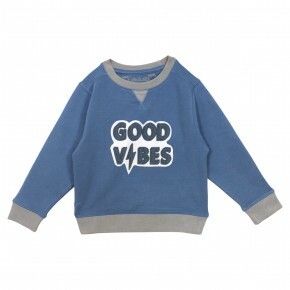 Louis Boy sweatshirt with "Rock" print on the chest. 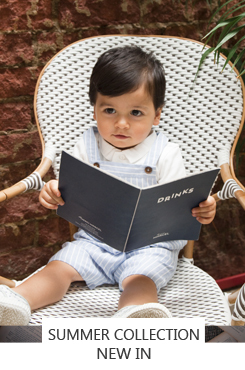 Ribbed collar, cuffs and hems. Logo and size embroidries at the inner neck. 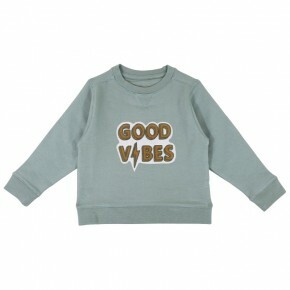 Louis Boy sweatshirt with "Rock" print on the chest. 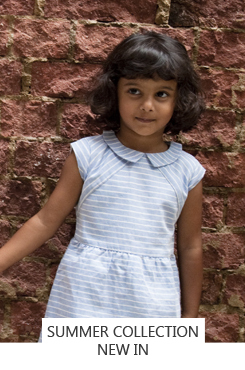 Ribbed collar, cuffs and hems. Logo and size embroideries at the inner neck. 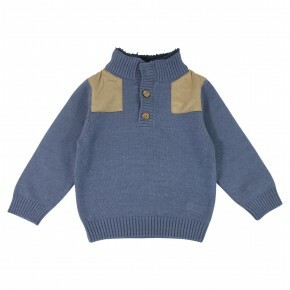 Theo Basic jacket in navy for boys with hoodie and front zipper for fastening and side pockets. Never goes out of fashion! 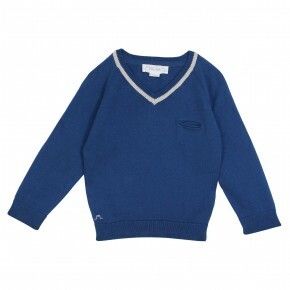 Cassandre Boys navy knitted sweater with V-neck. Ribbed neckline with contrasting coutlined and embroided logo on the sleeve. Cassandre Boys orange knitted sweater with V-neck. Ribbed neckline with contrasting coutlined and embroided logo on the sleeve. 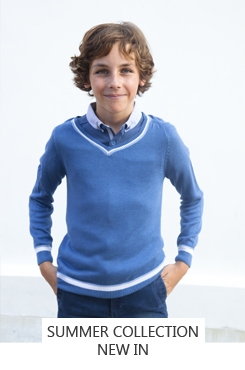 Ames Boys blue sweater with lamb appliqué. 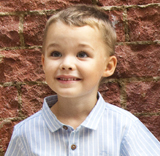 Contrasted collar and three back buttons to assist in dressing. Ames White sweater with lamb appliqué. 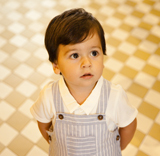 Contrasted collar and three back buttons to assist in dressing. 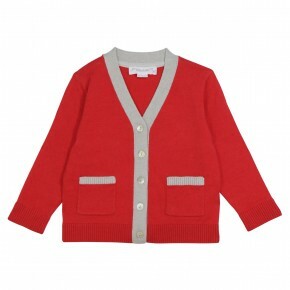 Berne Clasic but essential orange cardigan with ribbed edges on collar, cuffs and bottom. 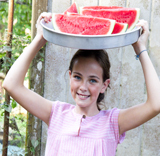 Wooden buttons on the front to assist with dressing. 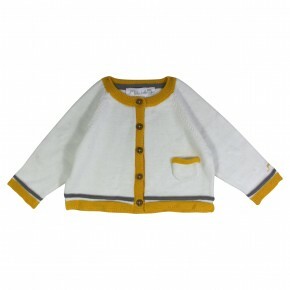 Berne Classic but essential white cardigan with ribbed edges on collar, cuffs and bottom. Wooden buttons on the front to assist with dressing. 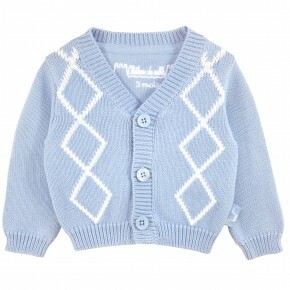 V Collar cardigan with matching buttons and ribbed neckline, cuffs and bottom. Stitching details on the shoulders. Concealed pockets on the side. Elbow patch with knitted vertical chain. 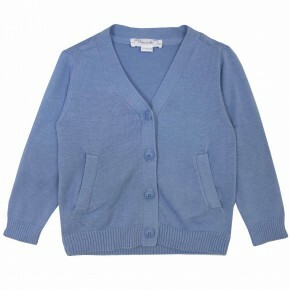 Berne Classic but essential navy cardigan with ribbed edges on collar, cuffs and bottom. Wooden buttons on the front to assist with dressing. 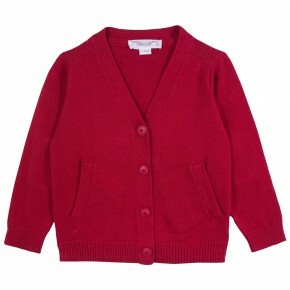 Cassandre Cardigan with long sleeves and two sides pockets.5 buttons on the front.